Welcome to StrawberryPlants.org, your one-stop source for everything related to the strawberry plant! Here we are passionate about strawberry plants, strawberries, and everything related to this wondrous creation. Feel free to peruse this website, and feel free to use the comments section at the bottom of each post to ask questions. For private queries, you may use the form below to email. DO NOT SEND AN EMAIL IF YOU NEED A PROMPT RESPONSE! Also, BEFORE YOU SEND A QUESTION VIA EMAIL, PLEASE USE THE SEARCH BOX AT THE TOP RIGHT OF THIS PAGE. Most questions have already been answered somewhere on the site. Also, comments are answered much more quickly than emails (usually within a week or three versus months for emails). So, using the comments at the bottom of each post is a quicker way to get information. There is also a Frequently Asked Questions page. Please Prove You Are Human by Entering the Contents of the Box into the Text Area. Then Click Send. 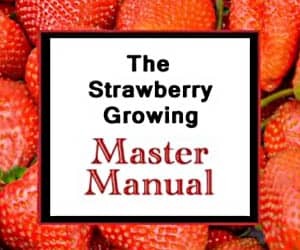 Additionally, if you know of a online retailer of strawberry plants, a local nursery that sells strawberry plants, or a pick-your-own strawberry location, submit it here!